Usnip is a tool that can download videos from popular video websites like YouTube, DailyMotion and Facebook. 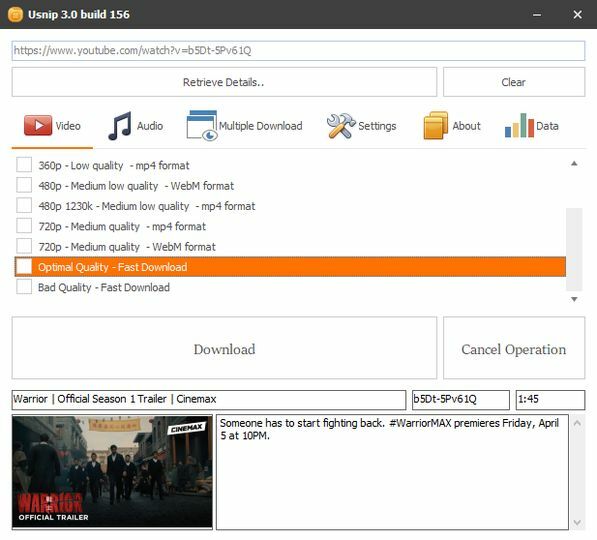 Usnip allows you to convert any file you download automatically to your desired format including HD (1080p). Since there is no streaming, no advertisement, no pop-ups, just your desired video being downloaded, you can expect much faster download speed. Unsip is a freeware tool.